The term "prohormone" has occurred in the nomenclature of medicine from the 50's, however, it had a different than now meaning. It related to the natural process of peptide hormones formation, not testosterone. In the strict sense prohormone is for example wit. Pro-insulin for insulin or wit. D3 for the hormone - calcitriol. The concept of prohormone was used in a different sense and popularized at the beginning of the last decade by one of the manufacturers of dietary supplements in the U.S.A. He used a legal loophole that allowed the marketing of anabolic steroids as long as they were previously unknown compounds (not listed on the negative list). The name "prohormone" was only a trick because steroids offered under this name were hormonal drugs. A popular myth was the claim, that these substances are distinguished by the fact that they are modified in the body, exactly in the same way typical hormonal drugs are modified (e.g. methyltestosterone to testosterone). Prohormones were distinguished by the fact that they were less known, and their long-term effects of use - unpredictable. Such compounds (e.g. androstendion, 1-androstendiol) have been completely eliminated from the market under the Act of 2004 (the legislature has treated them in the same way as barbiturates and compounds of codeine). The Act did not bound itself to the list of compounds, but it referred to all chemically or pharmacologically compounds related to testosterone, though the popularity of the name "prohormone" was then already very high, and due to the fact that this word did not have a proper definition – it became willingly used by the manufacturers of sports supplements. This website is to explain what PROHORMONES were and what they are, and provide information about their capabilities and real composition. Prohormones - from a formal point of view, the natural compounds in the endogenous processes. Prohormony w sporcie przed rokiem 2004 - We distinguish 4 stages in the functioning of "prohormones". 2. 1996-2003. The period of law avoidance possibilities. The term "lent itself" to determine the oral form of anabolic-androgenic steroids which are not forbidden by the Act of 1996. These compounds are currently defined in U.S. law as anabolic steroids and may not be available as supplements. 3. 2004-around 2010. The period of cheating the customers. After the prohibition of any testosterone related compounds, the word pro-hormone or “designers steroids" was often used to determine adulterated supplements - declaring in their composition the hormonal compounds which do not affect testosterone but containing "addition" of random SAA of the actual anabolic and unknown side effects. The process of counterfeiting the supplements emerged owning to selective analysis and press coverage. In the U.S.A. it was clamped down with the use of effective castigations. 4. The current period. The technological progress allows the use of anabolic compounds of natural origin. Some of them have been questioned by the authorities due to wide pharmaceutical application and effects. The dispositions on the legality vary between countries and are based on access to knowledge in the field of phytobiology. It is worth remember about the breakthrough that occurred late in 2004 – from this time no producer in the United States can no longer create and sell the derivative of testosterone. This a colossal change, but manufacturers and retailers go out of their way so that the customers do not see it. 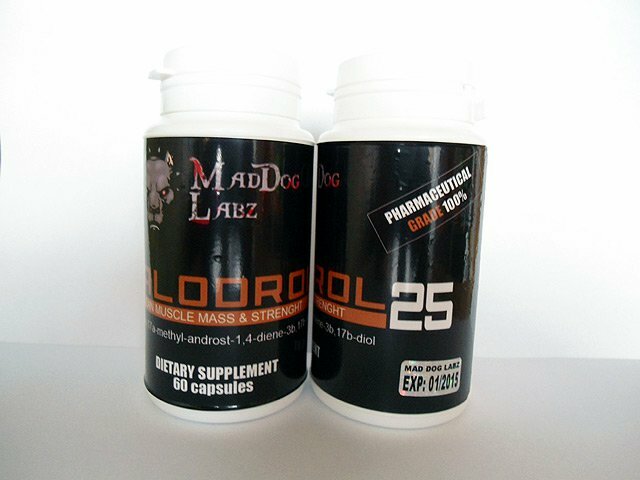 Each anabolic supplement sold by an official company, is at most an extract. "Chemical" names such as 3,17-dioxoetiochol-1,4,6-triene; 3, 17-keto-etiochol-triene; 3’,5,7-trihydroxy-4’-methoxyflavone; epihydroksytiolan-17-estrer, the usage of proper names such as 6-OXO ®, and skipping the source of raw materials (plant name) are the only marketing procedures masking the origin of the product. The law in the U.S.A. is currently the most rigorous in terms of prosecution of banned anabolic substances (freely associated with testosterone), owning to the fact that such substances are regulated there by a special act describing various harmful substances (such as drugs). Anabolic steroids, i.e. any testosterone related compounds with the exception of DHEA, female estrogens and progesterone belong to the III category, in U.S.A. legislation - substances with potential psychological and partially physical dependence. "Prohormones are kind of weaker steroids – they convert to the actual steroids inside the body, they are less effective but safer"
No. This is a typical marketing supported by propaganda activities and large money. Even these prohormones before the introduction of the prohibition did not correspond to the contemporary definition of "prohormones". They were typical hormonal drugs ("classical" hormonal drugs, such as metandienone, they are also the compounds which convent only in the body). The first prohormones were typical anabolic-androgenic steroids and so they have been treated by the law since 8 years. Since then, there is no possibility to sell supplements containing synthetic hormone compounds. "Prohormones are the strongest supplements; it is worth to order them in the U.S.A. because there the law allows more"
This is the most absurd myth concerning prohormones. It aims to hide that the situation dramatically changed in 2004, and since then the United States is the country with restrictions greater than those in Europe. American law prohibits the sale of any of the compounds related to testosterone (excluding DHEA and useless in sport estrogens and corticosteroids). U.S. producers are punished even if anabolic properties can be attributed to the product of 100% natural composition. Would you sell, in spite of everything, related to testosterone supplements in a country in which for such a practice you would be treated as a drug dealer? The U.S.A. is the last place where you would find a legitimate factory of testosterone supplements. In the U.S.A. this is impossible – the present regulation and definition of anabolic steroid excluded synthesizing new anabolic substances - regardless of their structure. European regulations do not contain such a restrict legacy, at all they do not distinguish hormonal products, but they employ regulations concerning medicines and "novel food" and regulate their use. Novel food includes phytosterols - now allowed in supplementation. In practice, manufacturers in the U.S.A. and Europe are focused on the use of compounds present in plants (extracts) and their use in an indirect stimulation of hormones. "True prohormones can be recognized by the name of the chemical compound in the composition, and if they include an extract, it means something herbal"
It's just a trick of manufacturers. Vegetable additions are described with the use of little-known names of organic compounds. The law requires providing the raw material (plants) but the misleading manufacturers for marketing can ignore this information, then the supplement looks more "chemical". Overall, all stimulants are based on natural sources. Division "herbs - candies" is just a marketers’ effort. It is true that the component Epihydroxetilan-17-ester makes a better impression than the name of the raw material - tribullus. „In the legislation there is a mess, so you have to choose the proven product names and well-known manufacturers - this ensures anabolic effects"
With the current manufacturers’ approach, trade names do not mean anything. The renowned manufacturers adjust the composition to the requirements of health authorities, without changing the product name and "fly-by-night companies" ruthlessly use the names of banned products (S-DROL, HALODROL, methasteron, etc. ), hoping to arouse interest, and because they do not risk their reputation (sometimes they have imaginary addresses) – they do not guarantee anything. As you can see, even the reputation of the brand does not guarantee a stable composition (and consequently - effects). Will the products of the same design and similar names, but of very different components guarantee You the same results? "There are independent producers who working on the edge of the law offer a typical prohormones"
We are not aware of such cases. In the United States for sale of the products, considered a few years ago as prohormones, now one can go to jail as in the case of drugs. In Europe, although there are not such severe restrictions, such products would have to come from the underground economy. The fact is that one can find supplements and even proteins with the addition of typical "classical" steroids not declared on the label. Since this is a practice based on the falsification of the composition, it is difficult to predict which of the criminals will add any kind of substance to illegally offered product. Do you believe that a person knowingly risking prison for falsifying the product, among many available illegal substances, would choose for you this more valuable? Or rather he would follow the approach of "hope it will mix up in hormones"? "Good prohormones can be distinguished from supplements by high price"
Definitely yes, but if they are products from the economic underground, not declared pharmaceutical addition will decide about their effectiveness (typical steroid), obtained from "not invoiced" source, e.g. from the disposal of medicines or from the veterinary sector. Do you believe that a person acting outside the law and adulterating products will endeavor the real composition of a high quality? Would you like to try on your own body, the effects of the unknown addition? "Good prohormonal supplement can be recognized by a high price"
Not true. The relationship between price and quality concerns labor intensive products (electronics, household appliances), but no chemicals. It turns out that the raw materials which used by "high class" manufacturers, in many countries, can be very cheap (e.g. nettle). With the use of high price, the producers are trying to suggest the quality. Taking into account the low price of vegetable raw materials, it can be even speculated that the high price of such a product is a way of marketing. When the product is manufactured at the cost of $ 3 will work better if the market price will be very high? Huge margins suggested to intermediaries can attest to the fact that the prices of expensive products are not influenced by the production costs. These products were created by synthesis, which was employed to create classical anabolic-androgenic steroids; it was just to offer previously unknown compounds and therefore not covered by the regulations. Converts to testosterone through 17bHSD. Researches indicate a conversion factor of 5.9%, which means that when taken orally at 5.9% it converts to testosterone. It has a relatively high rate of aromatization to estrogens and consequently the risk of side effects such as gynecomastia. It presents a large androgenic potential, can cause side effects - male pattern baldness, acne, and enlarged prostate. It was a stronger version - conversion rate approximately 15.76%. Converts to testosterone through 3bHSD. Converts to nortestosterone through 17bHSD. It had a lower, than estrogen, rate of aromatization and androgenic side effects. Converts to nortestosterone through 3bHSD, like the previous one had less androgenic side effects. It could convert to another precursor - 1-testosterone, which was considered to be highly androgenic (similar to dihydrotestosterone, the primary hormone responsible for male pattern baldness). Another version of 1-AD, the rate of aromatization to estrogen at the level of 1/2 of testosterone. The described compounds could not be available in Europe, because typical hormonal agents would be classified as drugs (criterion measures and similarity). On the other hand, the production of drugs requires appropriate clinical trials and studies of medical use. Such procedures were not carried out; because from the viewpoint of pharmaceutical companies, such measures would not be interesting (pharmacy offers effective and better prepared hormonal drugs). In the United States these products, as a previously unknown, were treated as dietary supplements (negative list criterion), until the introduction of a statutory prohibition, thanks to which they could be available in free sale in the years 2001-2004. After this period, under the law, the sale of these and any new compounds of this type was banned. While before 2004 prohormones were a way to circumvent the law, the stage which smart manufacturers called "designed steroids" relied on deceiving customers. We write on the label a compound which to our naïve customers would seem a "concrete one”, but in reality it is not related to testosterone, so it satisfies the requirements of Anabolic Act. Such a compound can give to the athlete nothing, so we just take some kind of coke. As a hidden "addition" it is best (for the manufacturer and worst for the customer) to choose something forgotten, something that no one wants to use as a doping so the chance of the product bust will be less. Act of 2004, indicated as an example the names of compounds marketed as prohormones and banned the sale of other compounds (not mentioned by name), which had the potential to impact on testosterone. Because this provision treated all such compounds as anabolic steroids, manufacturers became indifferent, in terms of responsibility, whether the agent will contain a compound of androstenedione type, or "classical" steroid such as metanabol. This began the practice of counterfeiting – the label stated the name of the compound that would "make an impression" and the actual components used were anabolic-androgenic steroids. Of course, in each country, such a practice is a crime, the worst in such a practice is the fact that the manufacturer choosing an "addition" firstly wishes to make the compound something that the controlling authorities will not expect it to be, there were examples in which not used for years steroids of the oldest type were employed. Even the typical "coquero" would not take the drugs, if they did not win the trust and wide practice, in order to familiarize the customer, marketing should be taken into consideration. What does the term "designed steroids" mean? To put it bluntly - "it can be any steroid". Adding unlabelled "additions" the manufactures used old and prohibited substances, known for decades, even those which due to lack of interest are "out of circulation" in sports doping. Since producers "were going in the same boat", they borrowed from each other the names of fictitious compounds and even the trade names of products, calling them "clones", which could give the impression that these compounds or names actually existed in the industry - S-drol, Tren, Ergo Max, Halodrol, Finabolic etc. However, the most competent customers’ suspicions, even before the adulterate came into the light, has already aroused owning to the "silly" statements of composition - a popular 2a-17-a-dimethyl-5a-androst-3-one (also known as superdrol or methasteron ) possesses only disadvantages and does not increase the testosterone and Ethyl Methoxy Gona (13-ethyl-3-methoxy-gona-2,5(10)-dien-17-one) is a derivative of female progesterone! Such compounds would not add muscle. The article from Waschington Post presents the base of the product Halodrol 50 from 2005, manufactured by Gaspari Nutrition. The product could be considered as "working" and could be treated as a "prohormone" because of the brilliantly presented the composition and description on the label, but again, it turned out that the producers of supplements are not the inventors but rather swindlers - Don Catlin from the Olympic Analytical Laboratory assessed the description of the label of this product as a "chemical hocus-pocus" and its action turned out to be based on unlabeled anabolic steroids, old as the hills –i.e. desoxymethyltestosterone from 1961. Another example of an "addition" is the company Nutracoastal Trading and its porduct S-Drol, which instead of described "a new generation steroid" contained similarly to Halodrol(!) desoxymethyltestosterone. Of course it's not the end - this archaic steroid must also have been in other products which were supposed to "work". Product ALRI Ergomax LMG gave on the label another "new prohormone" 13-ethyl-3-methoxy-gona-2,5(10)-dien-17-one, sometimes called Ethyl Methoxy Gona (SUS500) or Deca-Drol, while again inside there was the same, archaic desoxymethyltestosterone. Various manufacturers, different compounds in the composition, and the idea the same - old coke. This was, of course, illegal and quite cheeky practice, like an addition of typical steroid to protein supplements, in order to show "exceptional quality". You can justify the actions aiming at circumventing the law, but only if the customers know what they buy. Nevertheless, in these cases a number of compounds theories were created, but one and the same, very bad SAA was added, which no one would consciously decide to take. Such a manufacturer does not declare the actual composition and does not "design" anything. From the point of view of an athlete determined to take an illegal doping, it is better to take a proven, "pharmacy" series, there is no point to buy accidental coke with counterfeited description, allowing producer-grifter to get rich before the next bust. In the period of "designed steroids" the idea was not how to create a legal steroid, as it was prevented by the Act of 2004, then the producers wanted an "addition" of a steroid so old that it was expected neither by the authorities, nor by the consumer. Since 2010, these practices have been effectively penalized - the consumer has the right to know for what he pays. While deciphering the above mentioned products, names like halodrol, s-drol became in some way outside the law. This was an opportunity for fly-by-night companies, which ruthlessly use the "controversial" names without fear of infringing trade marks of the compromised manufacturers, as those cannot really point to the attained benefits from cheated product. Such products even in their original form included something different than it was stated in the description, so you can be sure that the situation did not differ in the case of their version implemented by fly-by-night companies, and the actual composition is "Lotto" and caprice of the adulterating "producer". Owning to the fact that since a few years, these compounds cannot be used in supplements, you can assume, with great certainty, that products labeled "dietary supplement" and those possessing in the composition one of the above mentioned compounds are adulterated, eventually may contain typical "classical" anabolic-androgenic steroid (which is confirmed by the analysis), acquired illegally (e.g. nonconforming pharmaceutical products or remedies for animals) or do may not contain any significant anabolic component (less criminal liability of the manufacturer). As the authors of the information service, we are willing to take responsibility, and in case of being accused of acting of the detriment of any manufacturer - fix it and rectify the above statements. A “coquero” using pharmacy SAA approaches to this professionally, anyway he exposes his healthy hormonal balance, but at least he tries to minimize side effects. On the other hand, if you have a product described with imaginary compounds (s-drol, holodrol, epit, tren etc. ), you can be almost certain that you bought a fake supplement and its actual composition is a mystery, so even a professor of endocrinology will not indicate the proper procedure (cycles, protections). The point is that the side effects are not necessarily proportional to the effectiveness, you can even cut one’s own throat, reducing own potential, which means that in the future the body will not respond to exercise with increase of muscle mass. In the network one can find somebody’s own observations and ideas concerning the cycles - these are only the products of imagination, research has shown that three differently labeled "prohormones" (Holodrol i S-drol, Ergomax) contained, in fact, the same steroid that producers did not include on the label - what is the point of comparing the observations, since the names and descriptions of these products do not actually show anything? Manufacturers do not have medical training, usually they are "normal athletes," it happens that with a criminal record. All the "protective measurements" in this situation are pointless - unknown composition means also unknown side effects. The second thing is that in the case of substances that were found in the synthetic prohormones (when such were still on the market) it is often typical "coke trash", no one seriously dealt with the therapies using these compounds, that is why – no protective measurements were developed. Since it generally turned out that the synthetic compounds, described as a new prohormones or designed steroids could work only due to the eventual additions, as they do not increase testosterone even in theory, all major producers and a leading seller (such as bodybuilding.com) resigned from their sale. Prohormones - have one in common - a non existing manufacturer. Just a few minutes on the internet is enough to check that the brand offering such a product does not even have an address, or the indicated on the label manufacturer does not have such a product on his website. As synthetic prohormones disappeared from the market a few years ago, their place was filled with ghost-products from virtual bidders. The use of such prefixes is not regulated and has not been questioned as misleading, that is why product called EPI-... may have any legal composition. If this is a product of a recognized - existing company, this composition is based on the compounds described below. Since 2004, natural compounds found in plants became the hope for the possibility of legal pro-anabolic products. Though they may be questioned in the case of pharmaceutical applications, you cannot treat them as anabolic-androgenic steroids due to the mere fact of a possible natural availability. 3,17-dioxoetiochol-1,4,6-triene is a derivative of solanine or Androsta-1 ,4,6-triene-3 ,17-dion that is a steroidal saponin occurring in the Solanaceae family and tea. The name is altered for the marketing purposes. A similar metabolite occurs on progesterone synthesis pathway of lanosterol in plants. 3, 17-keto-etiochol-triene – similarly to the example mentioned above, amine, non-protein amino acid, in such plants as alfalfa or clover. 3', 5, 7-Trihydroxy-4'-Methoxyflavone – in other words hesperetin - is a compound classified as flavanone, is the predominant flavonoid in lemons and oranges. 6,7-dihydroxybergamottin - bergamottin, the compound of natural origin belonging to the furanocoumarins, present inter alia, in grapefruit and its products. Aromatase is a natural process of conversion of testosterone to the female estrogen hormones. Although a partial aromatase restrain may have pro-anabolic effects, that is why such a treatment is treated as a prohormonal supplementation. This compound is not banned in supplements, but it is not yet available to manufacturers as a raw material. Article about aromatase inhibitors. How to prepare for a prohorme cycle, whether to use the PCT (post cycle therapy) or not. Specialized natural compounds and their compositions are now the only way to design anabolic supplements. A prerequisite for creating such a powerful product is expertise and the access to the results of non-commercial researches. Although American supplements years ago won fame thanks to the use of synthetic steroids, now that fame is only supported with the use of marketing, and these manufacturers switched to phyto-supplements, however they lack competent support. Manufacturers offer us hundreds of "miracle" anbolics of natural origin, but it is known that they are not, and they were not authorities in this specialized field of herbal medicine. It is extremely difficult to find in advertisements and descriptions of these products even a short mention about the competent authorship recipe, it seems that the "synergistic combination" and "proprietary mixtures" is based on the specific knowledge acquired straight from .. the gym. Below we describe the specific products, which are considered by the manufacturers or buyers as prohormones. Indicating the active substances, we are guided by the information from the label, however, giving them in a more readable manner. We select products present in online sales and discussed on the forums. 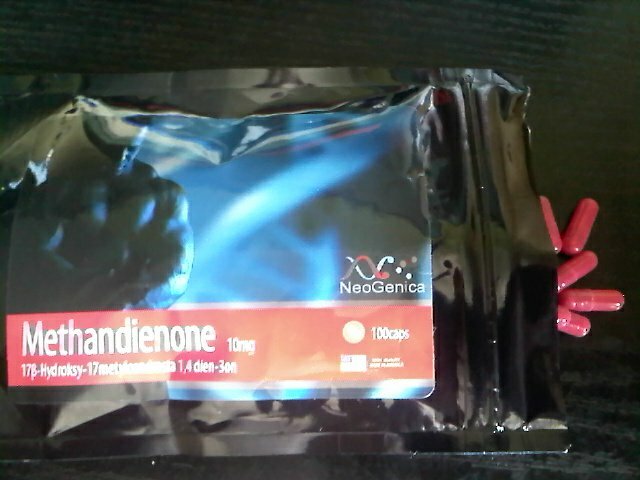 If you are interested in any prohormone – send us an e-mail with the name and a link. We put the mark next to the products, which look fake - looking forward to the producers’ reactions, providing a possible explanation (if any will be sent). First component is a non-protein amino acid derived from legumes (the correct name is 17-keto-etiocholene-3-ol tetrahydropyranol). These plants are commonly found in USA and Europe. Novedex XT is a typical example of a new generation prohormone - components based on the compounds of plant origin with the anabolic potential. Many users assess the real effect of this product very well. It is quite expensive (over 30 USD for 60 cps), but the price can be a part of the typical for such products marketing. U.S. health authorities on 7/10/2010 banned the product, questioning 3,17-keto-etiochol-triene. Although it is a natural substance, it has nothing to do with the synthetic prohormones (e.g. it can be obtained from the popular plant - Alfalfa), the authorities worried about its potential as an aromatase inhibitor. Other alfalfa-based products are used much earlier supplements "Alfalfa". Novedex XT is not included on the official website of Gaspari Nutrition. Since there is a risk that available products may be counterfeit or overdue (two years after the withdrawal from the market), we suggest before the actual purchase, contact the manufacturer to confirm that the product available in store may be original one. Viridex XT, offered as a successor of Novedex XT, consists of active compounds extracted from plants and extracted amino acid commonly known as DAA. Preparations combining DAA with plant extracts, of an anabolic stimulation character and reducing the growth of estrogens, are currently popular direction of prohormonal supplementation. 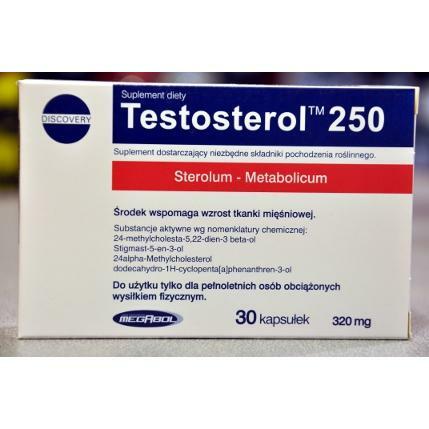 The product containing this substance would be highly toxic synthetic hormone drug, which due to anabolic actions, in some sense abirritating the effect of endogenous testosterone and non antiestrogenic effects, can cause gynecomastia, i.e. the enlargement of mammary gland in men. It also gives the sign of androgenic alopecia (although it does not “allow to speak” the endogenous androgens) and causes relatively quick (after about 3 months), impotence (sexual impotence). Because of dimethylation of molecule, it acts extremely hepatotoxic (crippling the liver parenchyba), it stops sodium chloride in the body and causes swellings. Such a compound would not be of interesting to bodybuilders, though, it would "defended" itself as unrelated to testosterone and probably for that reason it was launched by the manufacturers. 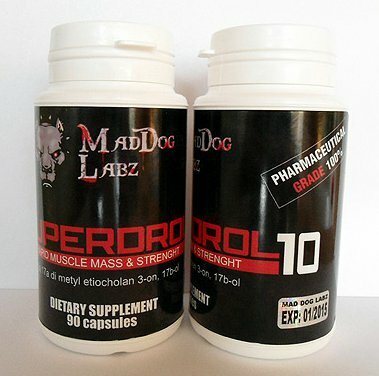 Tests conducted on the products declaring the contents of this substance (S-DROL Nutracoastal Trading Company) has shown, however, the counterfeited composition and the presence of completely different - a "classical" steroid: desoxymethyltestosteron – present on anti-doping lists for many years. On the Internet one can find various products relying on such names. Their common feature is an unreliable production. There is no technical problem to print on the label any component by the online seller - declaration is credible only if it is supported by an existing, taking responsibility for a description company. Meanwhile, S-droli and M-droli packaging give fictional manufacturers - with false address, names not existing in the Web, and even if they have a website, they do not confirm to offer such products. It is unlikely that the products described as S-drol, M-drol, or Superdrol contain the declared components. It would be possible in the case of a manufacturer from Asia - these companies have in their offer proven, "classic" steroids and they are functioning outside the European and American law, they offer them through their official websites. However, the producer in the United States has not got the slightest chance, and the products sold under the slogan "American Superdrol" in advance can be considered as unreliable. Such products (falsified) can occur in the seller’s "garage" outside the U.S., which from the point of view of the seller is even safer (no liability as far as the drug laws are concerned, like in the U.S., the lack of border controls, lower sanctions). 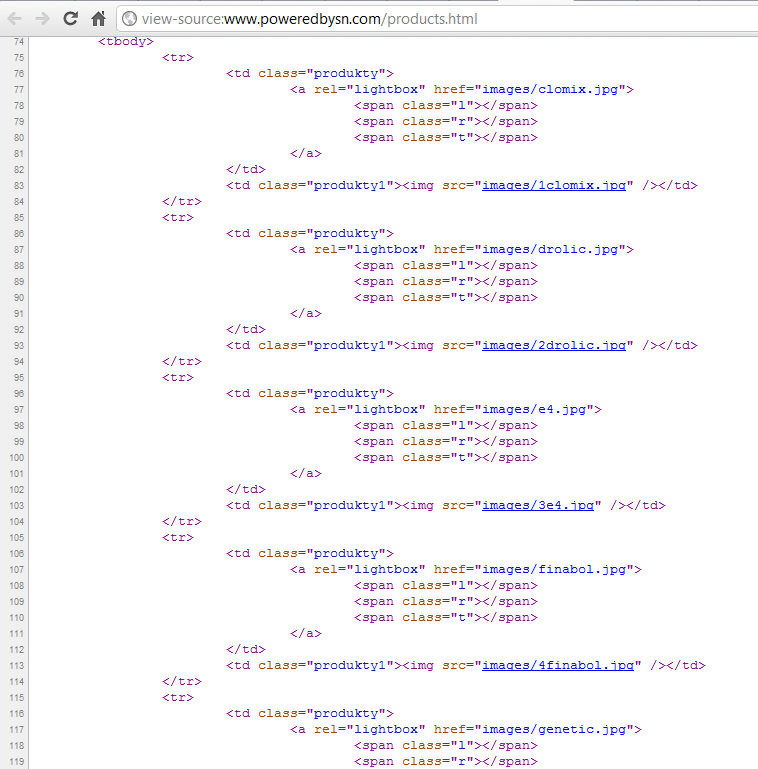 Manufacturers’ websites sometimes contained in html code words from Eastern Europeam countries, though presented in English. The point is not that there such supplements could be legal - they cannot, the point is that all dealings are to cheat the customers and attract them with the forged name. The credibility of these measures is supported by their effectiveness, but this is easy to achieve by adding a "classic addition" (not declared in the compound addition of a typical steroid). And it is worth considering - even the determined to uncompromising doping athletes do not decide on "chance doping." The manufacturer has a website on which he offers natural prohormones (extracts). 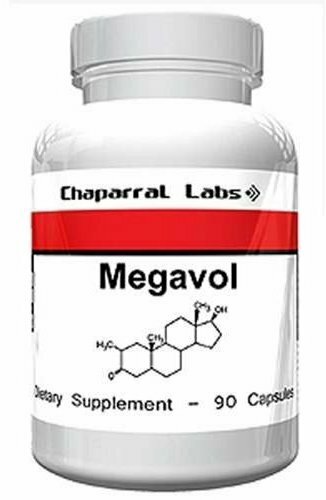 Megavol is the example of a product that could be available in the United States some years ago but not at present. U.S. authorities have withdrawn from the market and banned all products of this composition. Someone (not necessarily the manufacturer) in Europe offers a product called Megavol, nevertheless, it is not included on the manufacturer’s website. The label also does not contain any manufacturer’s indication, except for the Chaparral Labs company logo. Before deciding to buy, one should send a question to the manufacturer and ask whether the product Megavol actually comes from him and whether it is credible. The manufacturer gives his address in the USA - where the product like this could not be sold, and most importantly the ADDRESS IS FABRICATED! (the name of manufacturer probably too - no way to confirm it). It should be taken as probable that the composition also has little in common with the reality. Producer exists, has its Web site, and like the other manufacturers offers products legally available in the U.S. (extracts and natural prohormones). At his home page he indicates that he DOES NOT OFFER M-DROL. The explanation concerning the withdrawal from the market is dated on 18.03.2011. This indicates that before that date the company was actually offering a product called M-DROL, but we do not know whether the product contained the stated component, breaking federal drug law, or it was just adulterated (contained other compounds). Taking into account the information from the manufacturer’s website, the product is not manufactured since the beginning of 2011. Offers available on the internet usually have the same lot number 54221and expiration date 06.2013, it is likely that this is the last production batch - it's worth to get a confirmation from the manufacturer. Still it is unknown if the manufacturer used already banned in the U.S. substances. Sports Kilo Company is offering in the United States a new generation of prohormones (natural). On their website there is no product which is available on the Internet (with photos). 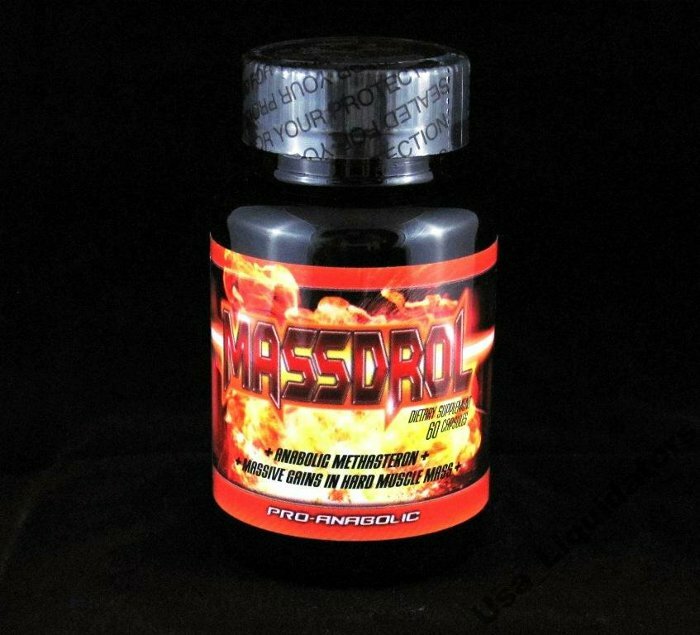 However, there is a product called MASSDROL-X, with an annotation - "production discontinued". Neither product called MASSDROL, nor MASSDROL-X currently exists in the offer of Kilo Sports and one can expect that they may be adulterated. The manufacturer gives the address in the USA - where the product could not be sold, and most importantly the ADDRESS IS FABRICATED! (name of manufacturer probably too - no way to confirm it). It should be taken as probable that the composition also has little in common with reality. Another provider of such products was the company NEOGENICA. The company's website includes the Slavic words in the code, which was done in "an American style" but it the reality it is rather Eastern Europe. Manifold and imaginary names on the label, is the favorite trick used by the fly-by-night companies. This time a proven producer, that is why the declared composition does not include any compounds that cannot be used. Arachidonic acid is a polyunsaturated fatty acid, present in the equivalent of present in the peanuts saturated arachidonic acid. 20-hydroxy-ecdysterone, or ecdysterone – steroid compound for example occurring in spinach -(-)3,4-divanillytetrahydrofuran - nettle root component. Previously, one could buy the Halodrol Liquigels of different compound - it’s the most important component was a natural compound known as "6-OXO" (4-Androstene-3 ,6,17-trion also sold as 4-etioallocholen-3 ,6,17-trion). U.S. authorities banned the use of this composition too (according to Helth Canada, 6-oxo was a threat to the health associated with blood clotting). 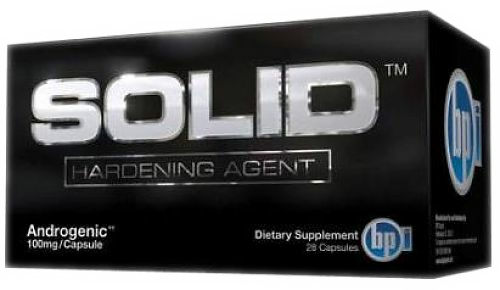 Halodrol is an example of how the producers attach themselves to "well-known" name, offering products that do not have much in common (different components). 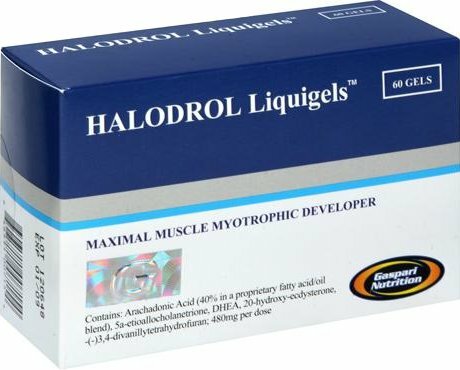 Although the name Halodrol appears on a variety of labels, only under the names of well known companies it is credible, although with not as intriguing composition. In addition, it should be noted that the product in the Gaspari version has been banned by the FDA in 2010 and is not listed on the manufacturer's website. It should be verified whether any available products under this name are not fakes or products heavily overdue. 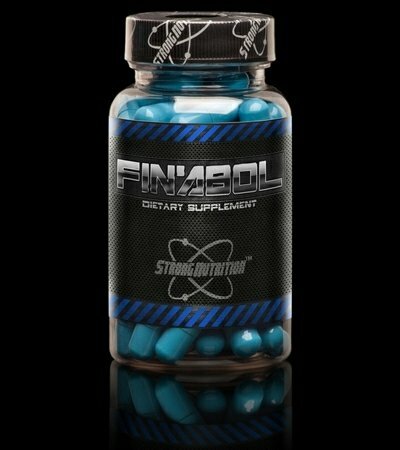 FINABOLIC is another product available on the Internet promising mix of m-drol, h-drol. On the manufacturer's website gepharma.com of course there is no product of such a composition, there are others - based on plant extracts. It is worth to notice, that the address on the product label indicates a completely different transport company. Probably Finabolic is another product with counterfeited label. The product under the same name suggests that we are dealing with well-functioning substance name, otherwise - if it was a proper name - the first manufacturer would not allow its use. Maybe there is no a manufacturer and the product is also a dummy with a fictitious label. On the labels of Diabolic Labs appear a website diaboliclabs.com, perhaps domain address was supposed to add credibility, but in practice this domain is for sale. After all the costs of purchase and maintaining your own domain is not a big investment. Probably it was supposed to make an impression of "another well-known prohormone clone" but it is another trick. Offers online describe the product as original, imported from the U.S.
Website of Strong Nutrition is displayed in English and possesses an extension .com, but editing of the source code shows the Eastern European command (screen on 29.05.2012). Though really strong and good supplements are now manufactured outside of the U.S.A., the business practices of fly-by-night companies without an address, pretending America are becoming more common in supplementation, and should be only a warning. 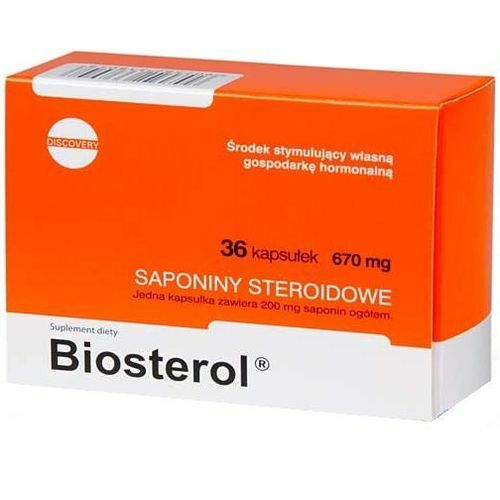 TESTOSTEROL is one of the first new generation prohormones (introduced in 2004, when a ban on synthetic prohormoneswas was passed). It is based on the steroids obtained from the plants (phytosterols). Currently, products of this type are testosterone boosters of leading manufacturers also in the USA. Phytosterols are well analyzed and actually effective compounds that affect the level of testosterone and hormonal changes. The same processes which in sports supplements are used for expanding the muscles, in overall applications are supposed to improve hair condition (supplements developed by L'Oreal + Neste researchers), and in pharmacy prevent enlargement of the prostate (registered medicinal products). Phytosterols are also used for the industrial manufacture of pharmaceutical testosterone (synthesis with the use of live bacteria). Its recipe was created by a phytobiologist - DR Henryk Różański. It is probably the only supplement designed "from the very beginning", i.e. the project included not only a mixture of compounds itself but also the process of obtaining them from plants which are specially grown. Recognized, though quite expensive natural supplement, focused on anabolic action (prohormone) thanks to contained extracts. The manufacturer declares on his website two possible ingredient tables - the global and the American one, the second one apart from the names of extracts contains a compound - (-)3,4-divanillytetrahydrofuran - but it is nothing other than a naturally occurring substance in the root of the stinging nettle. Resweratrol (resveratrol) – phenolic compound naturally produced by plants for defense against pathogens. The source of resveratrol are grapes, peanuts and red wine. Typical American prohormone from actually existing and well-known company in Florida. Product complies with the requirements of the local market – it does not mention anything about the testosterone. Manufacturer reliable. Cynodon dactylon so called Bermuda grass, in the U.S.A., this is a forage, this species is present also in Europe. The producer is very doubtful, on his own website he does not give the address details, and the list of products does not agree with the retailers offer (it does not include the product S-TEST-DROL.) On some labels there is a bar code. Verification of the manufacturer with the use of a bar code - not found. On some there is a phone number and e-mail on a public server @ aol. After typing the name of the manufacturer in the search engine we get only 7 results. 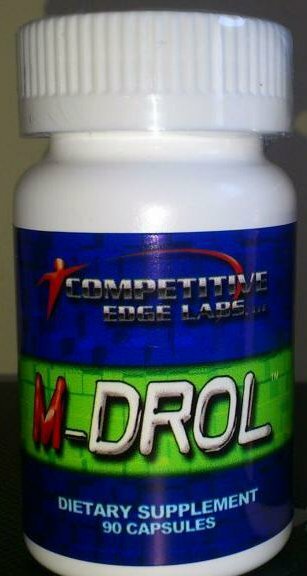 The product label indicates the composition of M-drol, H-drol. It is difficult to determine who and where products this supplement, it is even more difficult to determine what is the actually composition. On the other hand, while taking into account the status of the producer - printing labels with his name and any composition may be unpunished. 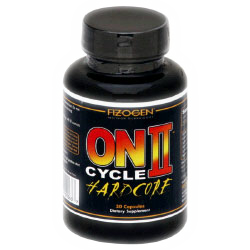 Fizogen is a manufacturer of supplements from Florida who offers prohormonal stimulators based on plant extracts (including the product ON CYCLE). Appearing on the Internet product with a similar name relying on this manufacturer is supposed to contain the 'traditional' M-Drol H-Drol X-Tren. In the American FDA database there are 2 cases of banning a product called ON CYCLE II, the first from 2009, another from 2010. It is interesting that the second case involved the use of (naturally occurring in alfalfa) ADT - so already in 2010, the product did not contain synthetic prohormones. Online auctions offer to date, the products withdrawn 3 years ago (in 2009) – it is very doubtful that this product conforms the reality, it is best to ask the manufacturer, which in this case possesses the real address. Portal collecting information on practices in the dietary supplements market. This is a non-profit website. We collect reliable information and we want to be a source of knowledge - a counterweight to unethical industry based on misinformation. We look forward to your (verifiable) reports related to the topic of prohormones, testosterone boosters, disclosed practices and regulations in this regard. Website prohormony.info does not make a sale, its task is only to provide information. The information may not express the manufacturers and retailers’ opinion on the presented compounds and products. used or reproduced without further approval of the website Administration and authors.